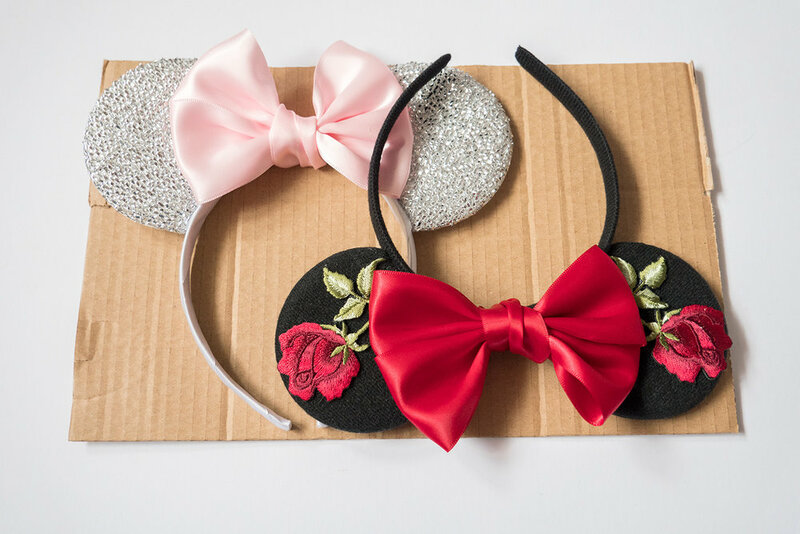 I have looked at custom Minnie Ears for the longest time on Etsy but have never bought any because they are often expensive and the designs haven’t quite been what I wanted. My friend Katie has an amazing collection of Minnie Ears and she introduced me to an etsy shop called Luby&Lola. I had a look at the shop and I fell in love with everything! 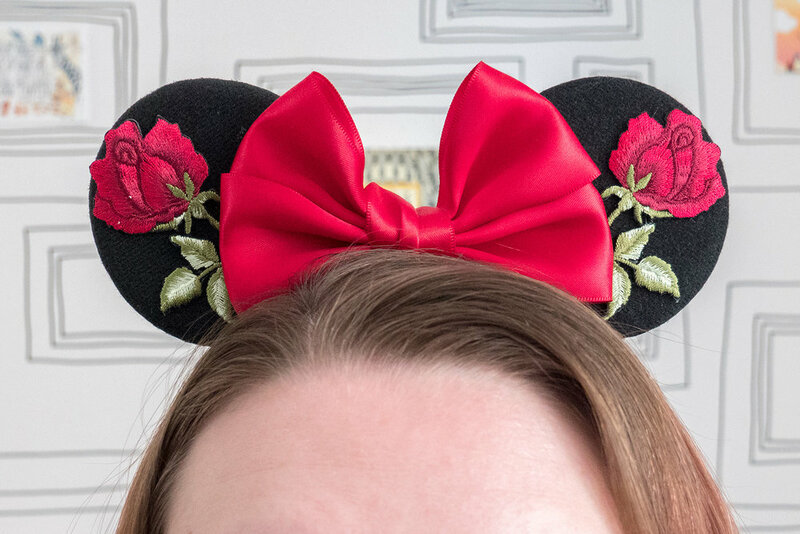 The ears are all such a good price, great for those on a budget and they are my favourite designs I’ve seen on Minnie Ears so far. I knew instantly I wanted to make an order but it took me what felt like forever to decide which ones I wanted. 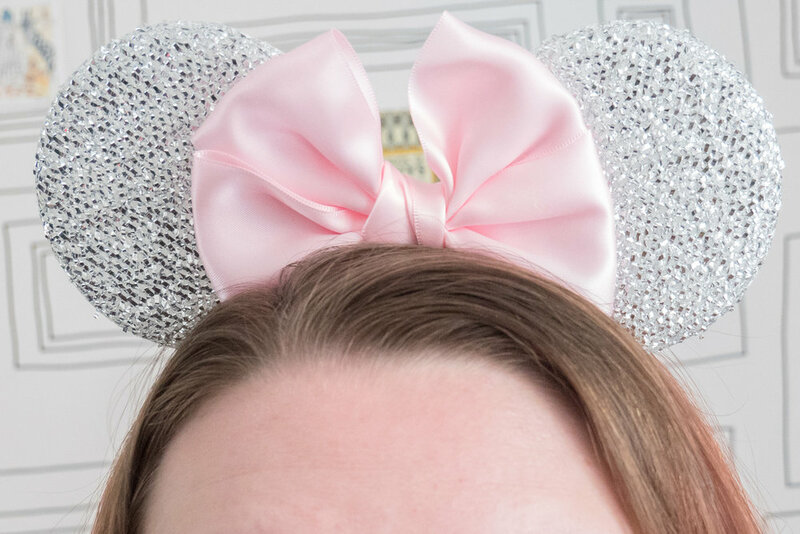 I spent hours (literally) looking at all the different Minnie Ears they had available and decided on my favourite ones. 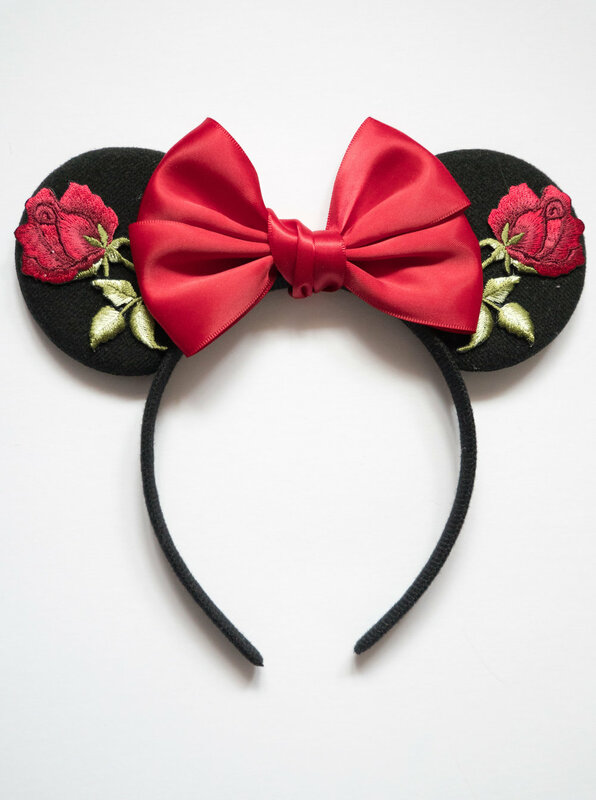 The shop was easy to navigate and I loved that she a ‘Budget Ears’ section and a selection of ‘Ready to Ship’ ears. The only problem I had was that at the time I was ordering it said dispatched in 4-6 weeks (now says 3-6 weeks). At the time it was about 4 weeks until my DLP trip and I didn’t want to order them and have them arrive after my trip. I messaged Luby&Lola on Instagram and told her when my trip was and asked if the ears I had in mind would arrive before that date. She was so helpful when I messaged her and I couldn’t fault the service she provided. She said that the two pairs I had picked out wouldn’t be available in time for my trip as they were both very popular. I had picked out a lot of different ears I liked so I messaged her a few days later and asked her about 3 different pairs of ears and asked if they would arrive in time for a 3/4 week deadline and she said yes! I was told to add a note to my order to say I would like to receive them in 3 weeks. I placed my order and waited for them to arrive. 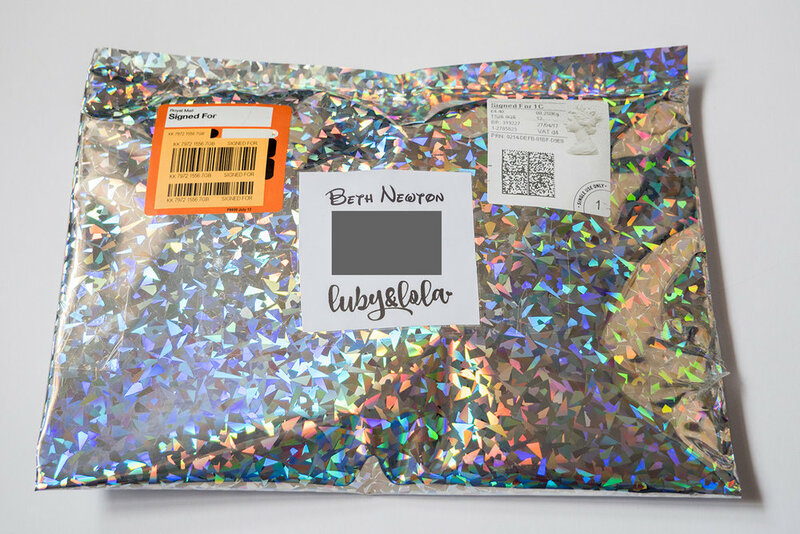 I made my order on the 12th of April and then on the 20th I noticed on the Luby&Lola Instagram that she was adding another pair of ears to her shop. The ears were the same as ones I had ordered but a bow had been added to them. I was a little disappointed as I would have liked the option of a bow when I made my order. I expressed in the comments that I loved the bow but I had ordered them when adding a bow wasn’t an option. She said to message her if I wanted to add the bow. I thought this was great service and I am so happy that she was able to do that for me. She invoiced me the extra cost for the bow (£2.00) and then I just went back to waiting for my order. They came packaged in a shiny bag which I thought was a nice touch and made the packaging a little more exciting. I also liked how my name was written in the Disney font, another nice touch to the delivery. 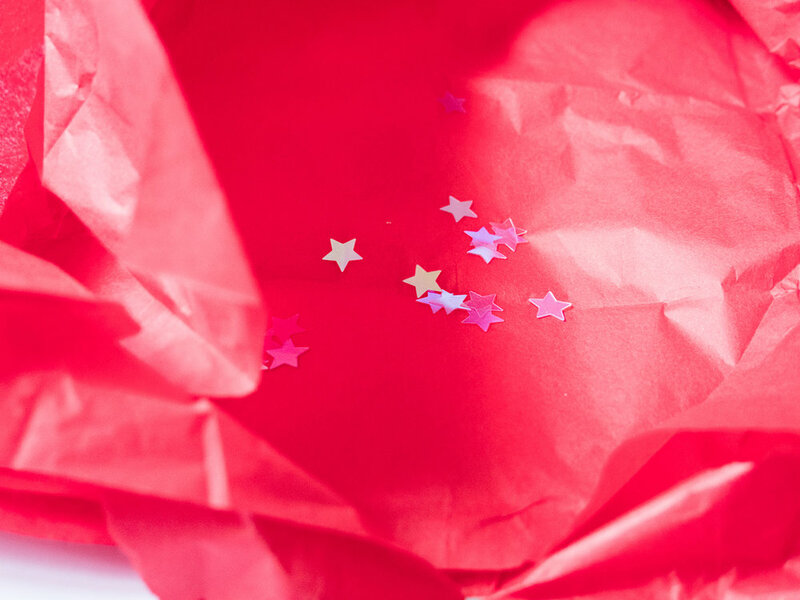 The ears came wrapped in red tissue paper which had star confetti inside! I definitely appreciated the extra magic that went into packaging the ears, especially as the ears themselves didn’t cost a huge amount. Now for the ears! I ordered two pairs of ears from Luby&Lola. 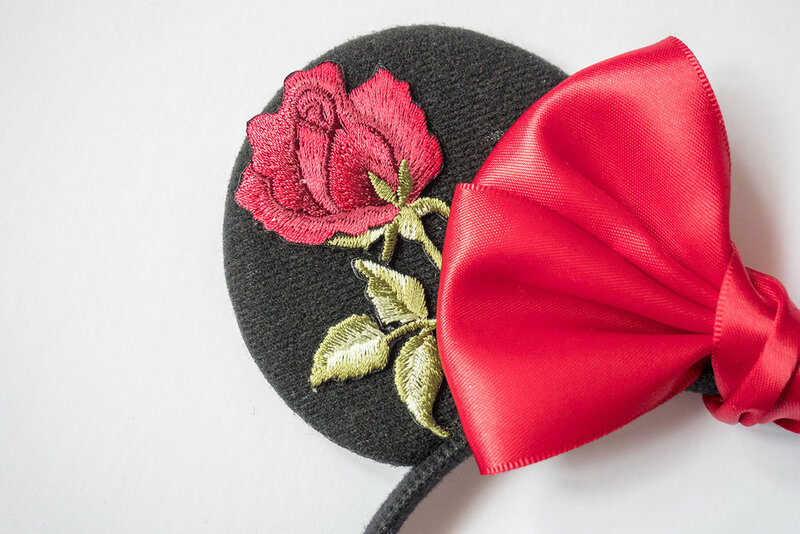 The first are a pair of embroidered ears that I saw on my Instagram feed and fell in love! They are rose embroidered ears and I decided to pick red for the rose colour. You could pick from a range of different colours for the roses but I decided to stick with the colour shown on the photograph. 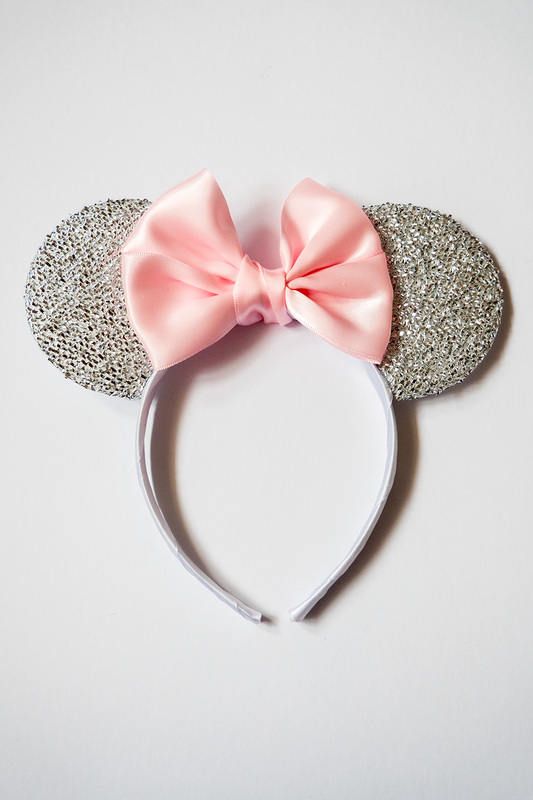 The ears are absolutely beautiful and I can’t wait to wear them in Disney. They remind me of Beauty and the Beast so I think I will have to wear a Beauty and the Beast inspired outfit with them! I am glad that I decided to add the bow to them as I love the quality and the look of the bows that she uses. They are very lightweight and feel really comfortable so I don’t think I would have any issues wearing them in the parks all day. *Update* I have worn both pairs of ears for a full day in Disney and they were incredibly comfy! I had no pain from wearing them and I barely even noticed I had them on. The only issue I had was I had to take them off on some rides. The ears are so lightweight they came off slightly on some rides and I was worried I would lose them so thought it best to take them off. I paid £7.99 for the ears and then later on I paid £2.00 to add the bow. You can buy them with the bow here or without the bow here. The second pair of Minnie Ears I bought I also absolutely love! 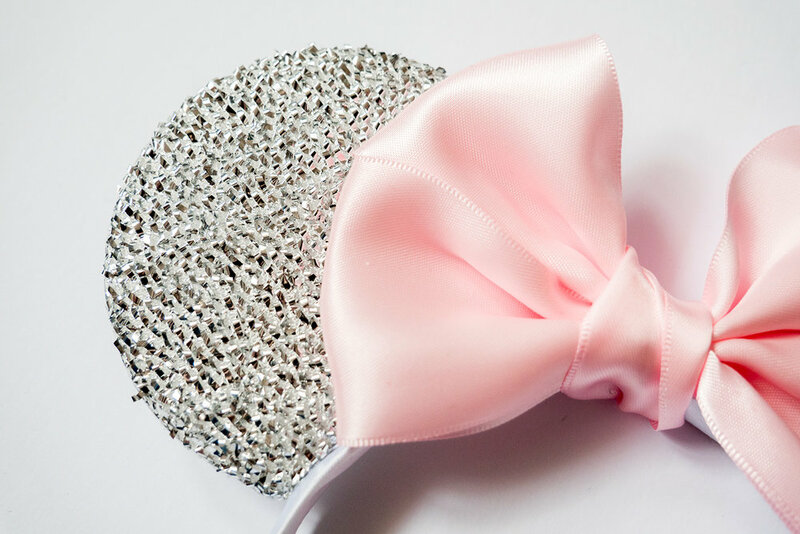 They are silver sparkly with a baby pink satin bow. I was so torn between the burgundy coloured bow and a pink bow but I decided that seen as though I planned on dying my hair pink (which I have posted a photo of on my Instagram here!) I decided that I wanted to go for the pink so that it would match my hair. Also the other pair of ears that I picked are red so I decided it would be nice to go for a different colour. 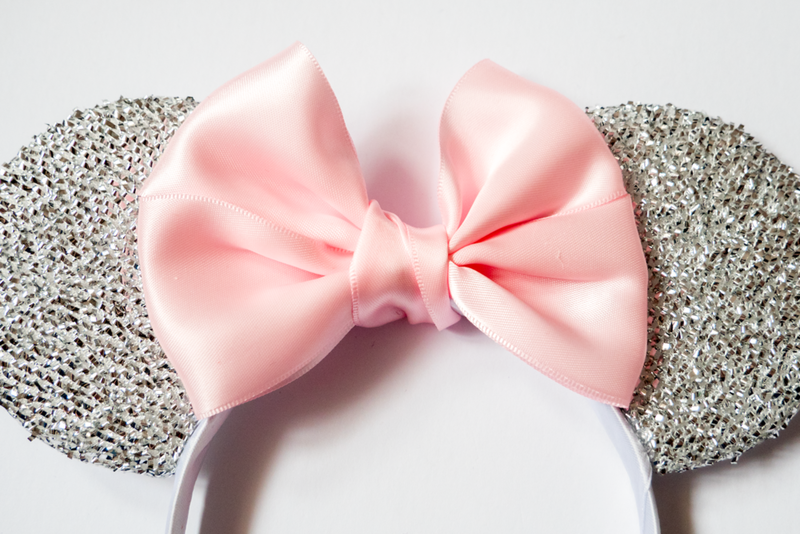 The colour of the bow is beautiful and it goes so well with the silver ears. They also go with my hair really well which I love! Again they are so lightweight and comfy to wear, they will be perfect for a long day in the Disney Parks. They cost £5.99 and can be purchased here. There are plenty of colours for the ears and bow to pick from so if the colours I picked aren’t your style still have a look as there is most likely going to be a colour combination that works for you. The package came with a small piece of cardboard inside so I am going to keep the Minnie Ears in the original packing with the cardboard so that they are protected. I will also keep them in the packaging when taking them to Disney so they don’t get bend or ruined in my case. I would 100% recommend ordering Minnie Ears from Luby&Lola. I couldn’t fault the service I received from the beginning as Lola was extremely helpful with any questions I had regarding my order. I can’t fault the quality of the ears, especially at such a low cost for each pair of ears. The designs are beautiful and I am so happy with my order. 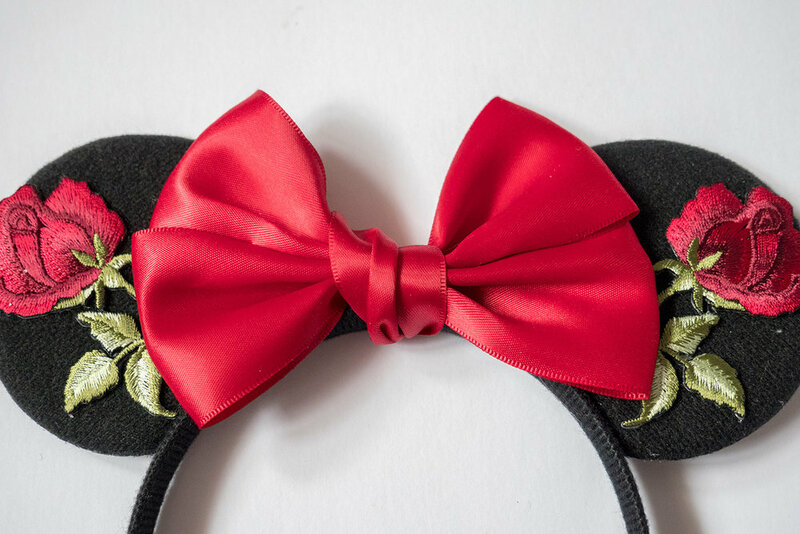 They are going to look amazing in Disney but they are also going to be comfortable which is just as important when days in the parks are so long. I will definitely be ordering more before my Walt Disney World trip in October, but I won’t be so last minute next time! Make sure you are following me on Instagram as I am sure my Minnie Ears will be a regular feature when I head to Disneyland Paris on May 15th!